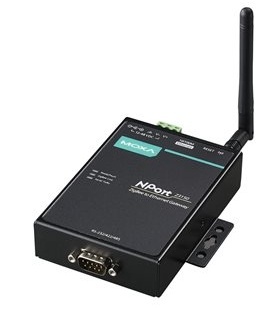 The NPort Z3150 is IEEE 802.15.4/ZigBee compliant, providing a reliable wireless solution for serial-to-ZigBee networks requiring minimal wiring presence. The NPort Z3150 was designed specifically to perform as a ZigBee Coordinator (ZC), providing nodes with an Ethernet interface to the ZigBee PAN. Internet connection ad network services are also provided via the ZigBee PAN. Remote users can monitor any ZigBee device in the PAN through the NPort Z3150. The following figure shows a typical topology of a ZigBee network. The NPort Z3150 is the ZigBee coordinator (ZC) connected to numerous ZigBee routers (ZR) and the routers are connected to end devices(ZED).